Used for absorbing large amounts of lateral movement. 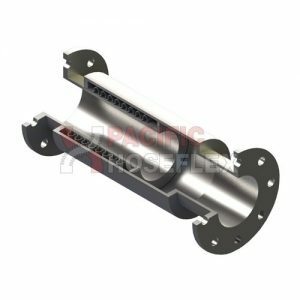 Internal flow liners for eliminating velocity and flow problems may be fitted. Anchors required to absorb spring rate forces only. Pressure thrust is restrained by the tie rods. 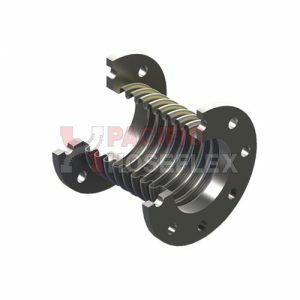 The double tied expansion joint is well suited to allow lateral deflection in the low to medium pressure range. 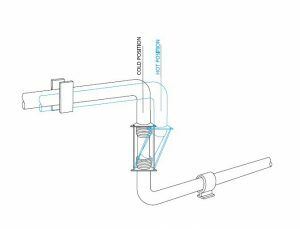 Used in this manner the tie rods will absorb the pressure thrust. 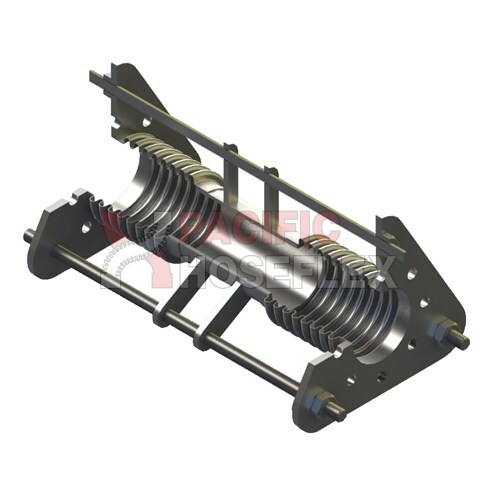 The design may also be used to absorb axial movement but this would result in the pressure thrust being taken from the tie rods and transmitted to the anchors or adjacent equipment. 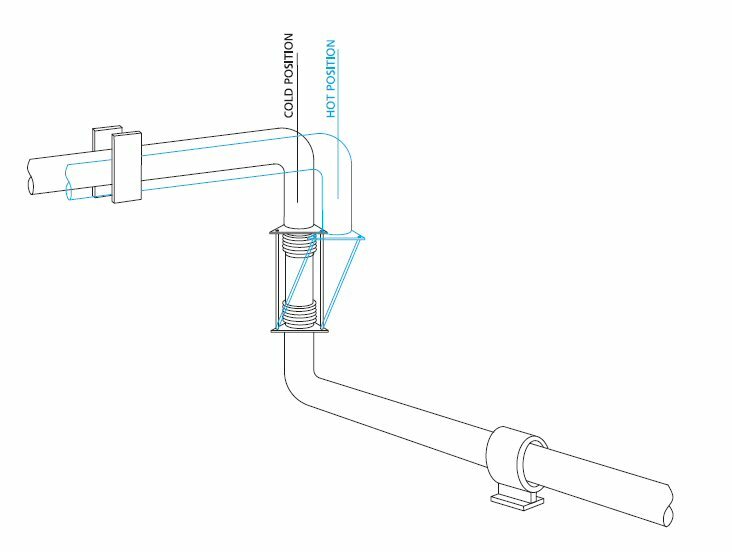 Fig 1 shows a double tied expansion joint used to absorb lateral deflection in a single plane. 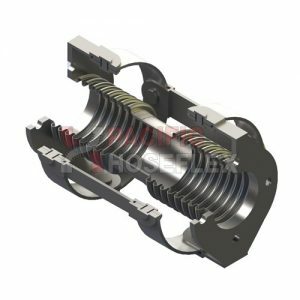 Wherever feasible the expansion joint should be designed to fill the entire leg so that the expansion of this leg is absorbed within the tie rods as axial movement. 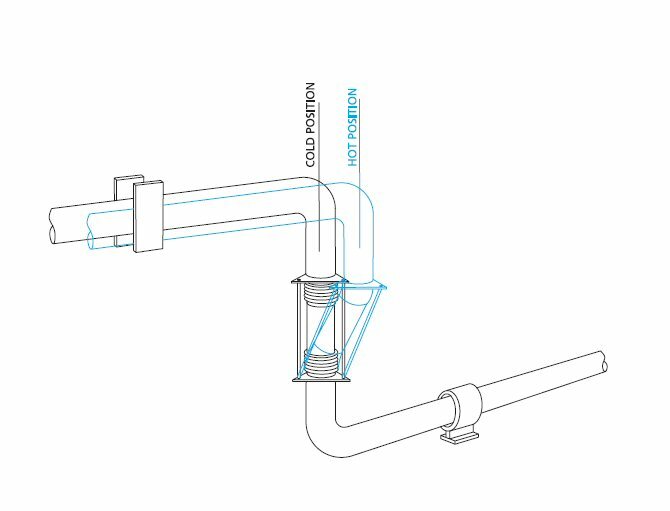 Fig 2 shows a double tied expansion joint used to absorb lateral deflection in a three–plane configuration. 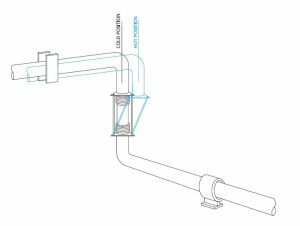 As the expansion joint will absorb lateral deflection in any direction, the two horizontal piping legs may lay at any angle in the horizontal plane. 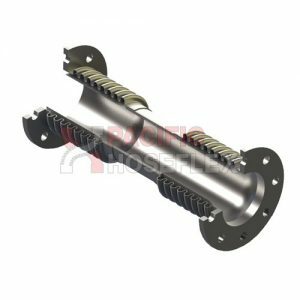 To ensure that this style of joint is correctly installed without any thrust being transmitted to adjacent equipment, it may be necessary to utilize either double hinged or double gimbal expansion joints.